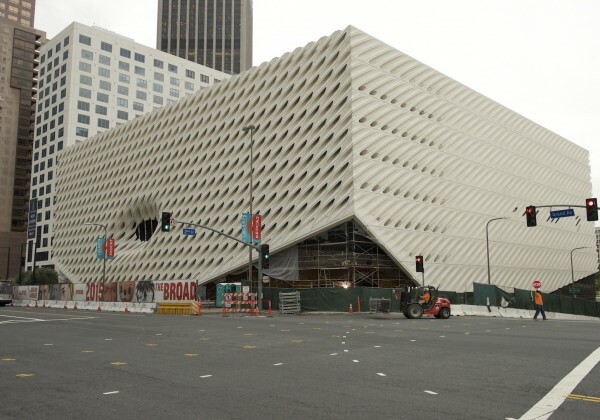 The final exterior scaffolding has been removed from Diller Scofidio + Renfro’s “The Broad” in downtown Los Angeles, revealing its distinctive honeycomb-like “veil.” Comprised of 2,500 fiberglass reinforced concrete panels and 650 tons of steel, the structural exoskeleton “drapes” over the building’s interior “vault,” lifting at its south and north corners to provide two street-level entrances. 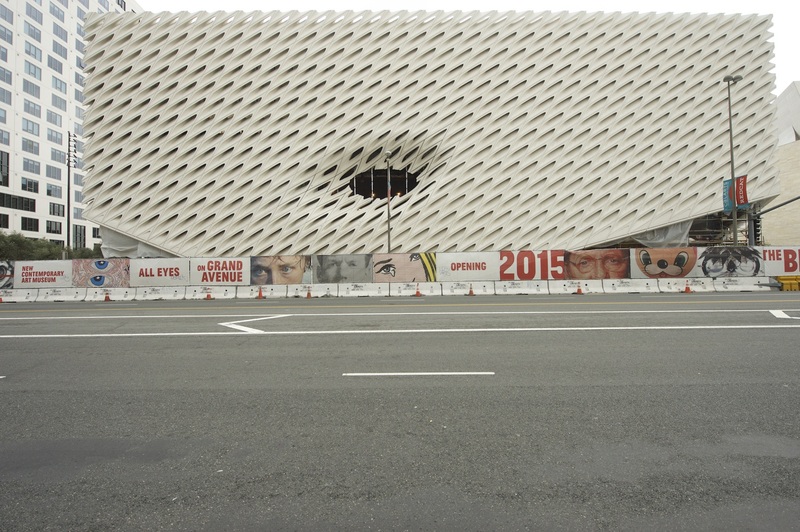 At its side, the veil is torn by a central “oculus” that provides a direct visual connection between the museum and Grand Avenue. “The Broad will be porous and absorptive, channeling light into its public spaces and galleries. 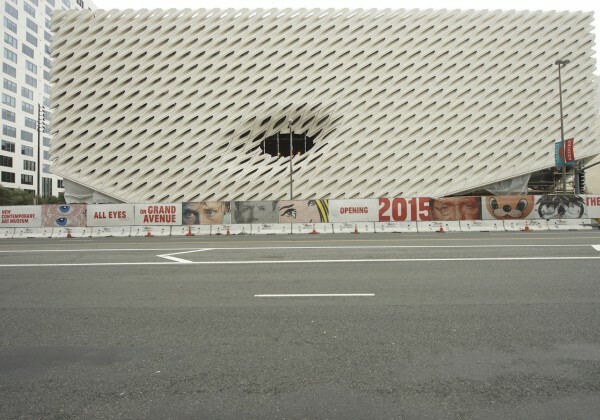 The veil will play a role in the urbanization of Grand Avenue by activating two-way views that connect the museum and the street,” described Liz Diller.Although difficulties surrounding the The Broad’s construction resulted in a few controversial delays, its current progress indicates the museum will be ready to open its doors to the public in Fall 2015. 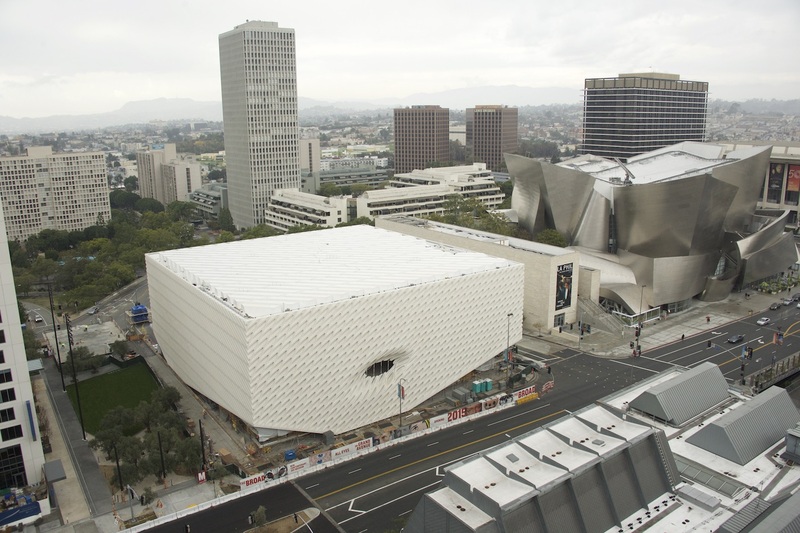 The $140 million, 120,000-square-foot will offer two floors – more than 50,000-square-feet – of gallery space to house The Broad Art Foundation and Eli and Edythe Broad’s personal collection of postwar and contemporary art. 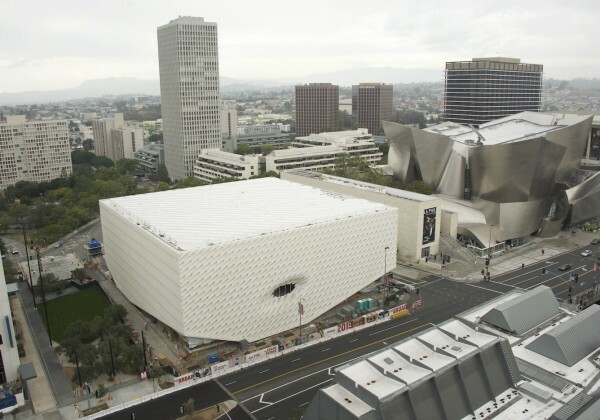 It’s site, located adjacent to Frank Gehry’s Walt Disney Concert Hall, will be buffered on its south site by a 24,000-square-foot public plaza and pedestrian throughway.